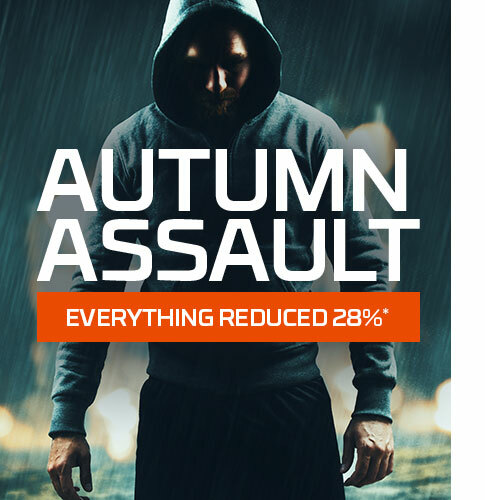 Autumn Assault is here to help fuel your training with a huge 28% OFF everything! 1. Raid the site and stock up on your favourites. 4. Walk away with 28% OFF your order! In site wide offers, product exclusions may apply. These products include: TPW™ Mini Fitness Guide, Beef Jerky, Biltong, Egg White Protein 80, Hydrolysed Whey, Vitafibre, Creapure, Diet Whey Isolate 97, Naked Diet Whey Isolate 97. This offer is only available whilst promo stocks last.